Kirra Promotions specialises in supplying and branding quality apparel, gifts, promotional products and incentives to corporate bodies both large and small. Being a member of the Australasian Promotional Products Association, we can creatively source the full spectrum of promotional products from within Australia or anywhere in the world. How do you get the simplest solution to a problem? Ask a kid! Ellie Jane's grandmother had a problem. She couldn’t easily read on her iPhone and iPad and keep them at a comfortable angle. An angle that enabled her to get an optimal view of the screen without giving her a stiff neck or sore wrists. 13 year old Ellie did some research and found that there were stands on the market but that they did not do the job well enough. So she got out her mother’s sewing machine and invented her own! 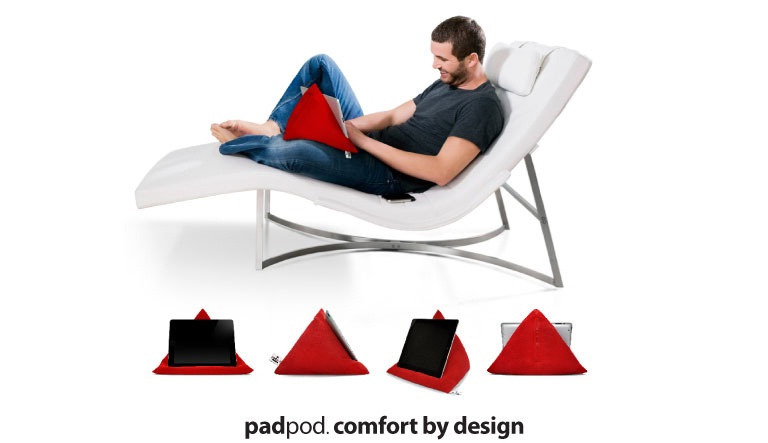 The padpod was born. Her Nana was delighted and now finds her padpod indispensable. Ellie was soon very busy making padpods because everyone else in the family wanted one too. And then all their friends. 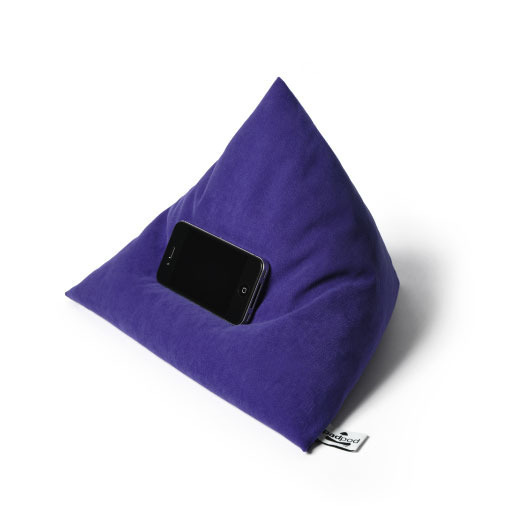 Ellie's triangle shaped bean bag is stable on your lap, lying in bed or placed on a table or desk. 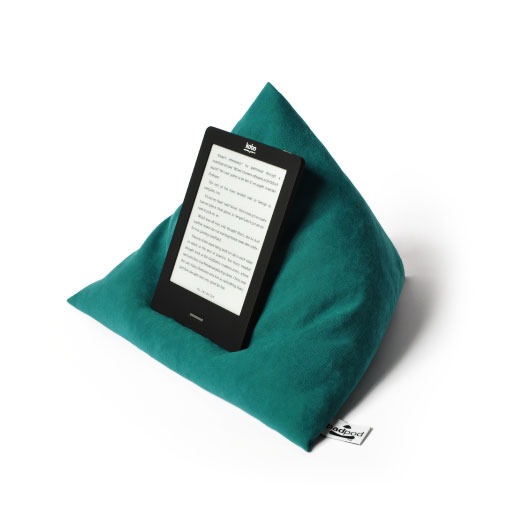 The iPad, Kindle or smartphone can be placed on it at any angle that is comfortable. Whether lying on your back or side. 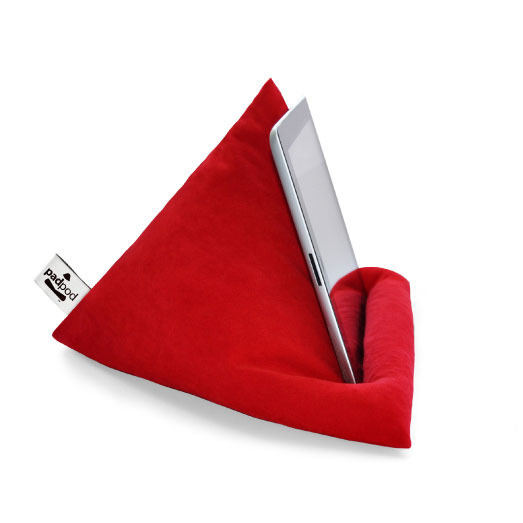 It can be used at work or home, in bed, in a plane or a car - anywhere! Ellie's Mum, Jenny, is an occupational therapist, so she helped Ellie refine the design of the padpod to the highest standards of comfort and safety. 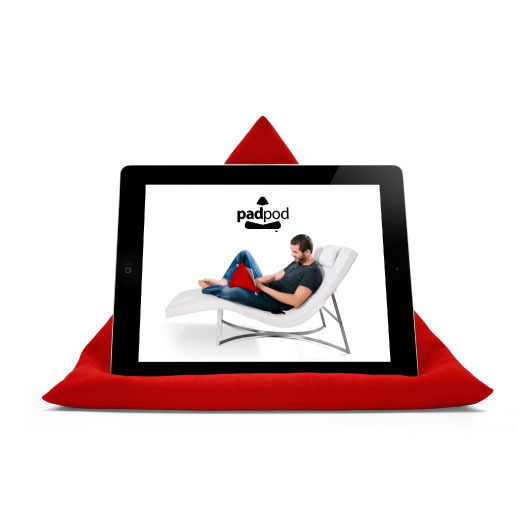 The weight of the iPad, or whatever other item you are using, holds it in place on the padpod naturally. There is no need for straps or adhesives. 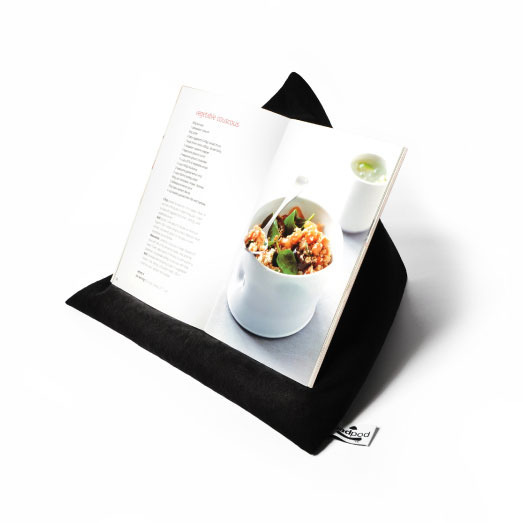 You can use the padpod to hold anything – your iPad, Kindle, smartphone, cookbooks in the kitchen or a novel in bed. It even works as a great pillow in the car. Branding options (embroidery) is also available. POA for delivery in the new year. Kirra Promotions (a division of Kirra Australia) specialises in supplying and branding quality apparel, gifts, promotional products and incentives to corporate bodies both large and small. Being a member of the Australasian Promotional Products Association, we can creatively source the full spectrum of promotional products from within Australia or anywhere in the world. How are you? Thank you to spend your precious time to read my e-mail! us from the following details. The team at Kirra Promotions just wanted to take a moment to wish you a very happy and safe holiday season. Please note that our office will be closed from 21 December 2012 to 7 January 2013 but we will be checking our phone messages and emails regularly. We look forward to working with you in 2013. You are receiving this email because you are a customer or have had a reason to provide us with your details in the past. If you wish to unsubscribe from future mailings, please click the unsubscribe link below. Christmas Gift Ideas for $15 and Under! 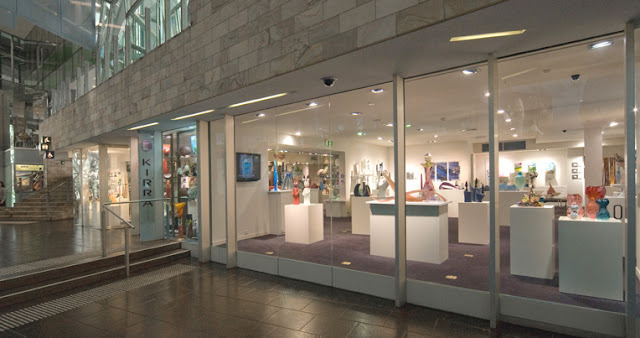 Kirra Galleries (another division of Kirra Australia) showcase the most comprehensive collection of Australian Art Glass seen anywhere in the world, as well as collections of handmade jewellery, ceramics, timber and sculpture all made by Australian artists from the finest materials.